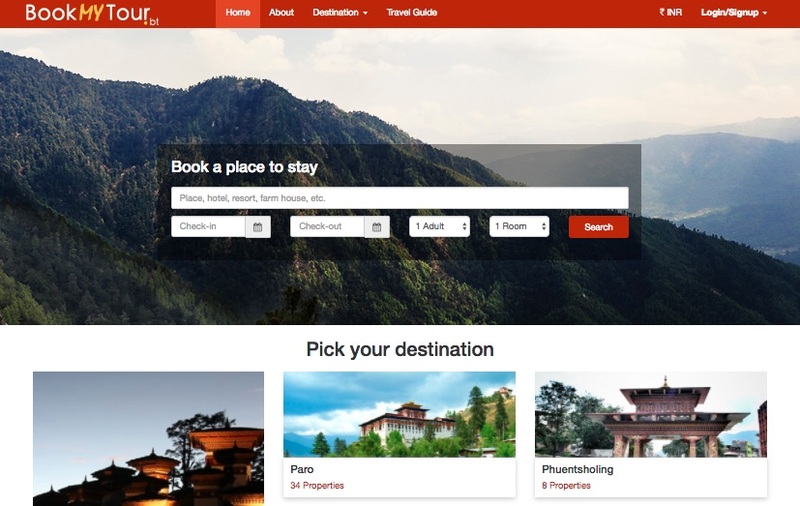 The last one and half year, I have been busy working with our great team at Green e-Solutions on a startup called BookMyTour, that would hopefully change the process of online hotel bookings in Bhutan. Currently there’s a lack of online avenues where visitors and hotels can accept online payments for hotel room bookings in Bhutan. Although a few hotels do accept bookings from large OTAs like booking.com and other Priceline sites, its not without problems for the hotels in terms of payments (Bhutan has a complex banking system when it involves international money transfers), oversold rooms, etc. With our new startup, we will concentrate fully on our local hotel/hospitality industry and plan to bring every hotel in Bhutan on board, thereby providing visitors the widest choice from properties ranging from 5 star luxury hotels to our local farm stay properties (farmhouses). Besides providing online room bookings, we will also publish relevant original content for prospective tourists and visitors to Bhutan through our Bhutan travel guide section, a travel blog and a discussion forum to discuss travel related queries. If you are planning on visiting Bhutan, do give BookMyTour’s online hotel booking service and let us know about your experience. Interface of Online Hotel Booking in Bhutan very user friendly. Easy to use and best deal for online hotel booking.